Attention craft brewers! There’s a new heat transfer fluid on the block – and it’s bringing about a near revolution in brewing practices globally, with the potential to brew up some big savings. The brewing industry has long been seeking an energy-efficient alternative to PG-based fluids – one that’s efficient and provides cost-savings, while also ensuring consistent temperature control to preserve your beer’s quality and taste. Now, talented chemists and scientists at UK-based Kilfrost have been working hard in the laboratory and have brought their expertise in heat transfer and cooling to the brewing and beverage industry. You might not have heard of Kilfrost – the company is the original pioneer of safety critical fluids for the aviation industry, and has been family-owned and run for three generations. The company remains as committed to innovation and to the research and development of next generation products now as they’ve always been. The new fluid is Kilfrost ALV Plus. It offers low viscosity heat transfer and is formulated with organic, approved inhibitors and viscosity modifiers. It’s been developed to reduce the incidence of pressure drops, as well as to reduce pumping costs and increase hydraulic efficiency. Craft brewers will be able to consistently brew a better quality beer and have reduced production costs. The best part is that it’s certified to the U.S. NSF standard as safe for incidental contact with food and beverage. Kilfrost is a member of the Brewers Association, the Florida and Wisconsin Brewers Guilds, and the Texas Craft Brewers Guild and recently exhibited at the Craft Brewers Conference in Nashville. 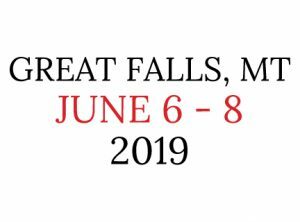 Please stop by our booth to find out more about Kilfrost, its history and the new cost-saving fluid at the Conference. Look forward to meeting everyone! Find out more at www.kilfrost.com. Sponsored post: This post was provided by our conference sponsor, Kilfrost.